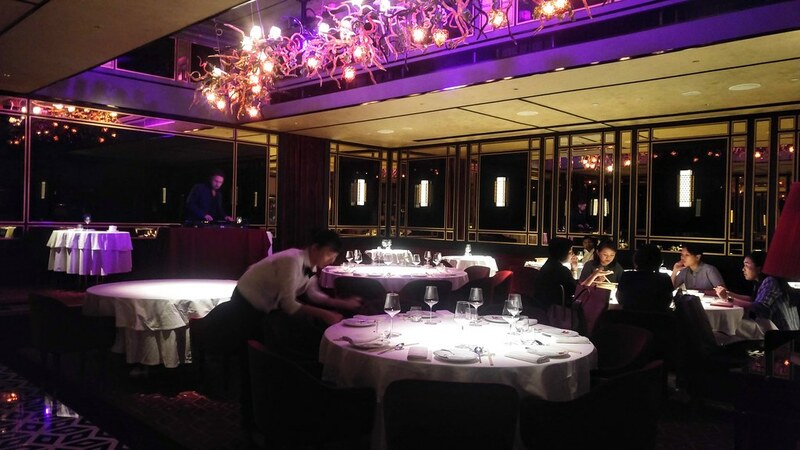 Step into Madame Fan at The NCO Club this Lunar New Year - be invited to an ambiance that will set your celebration apart from the rest. 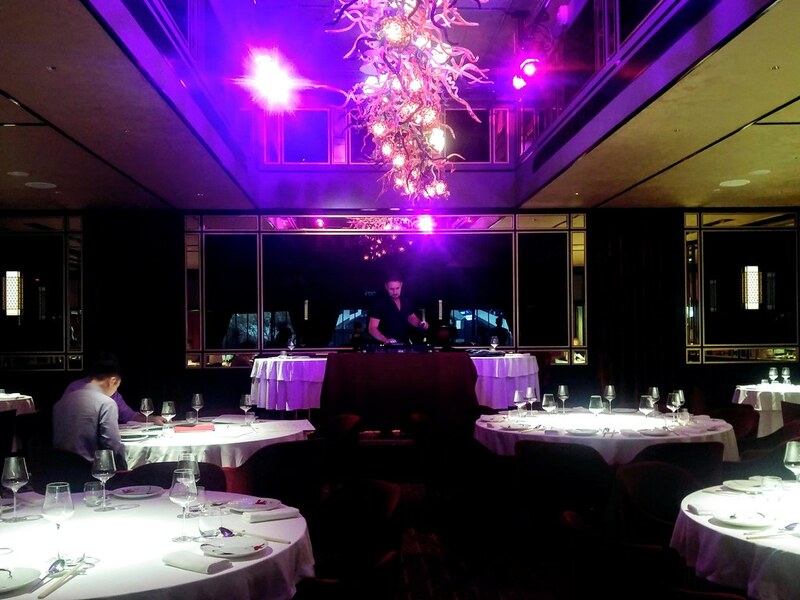 Instead of singing to the oh-so-common, catchy tunes of CNY songs while tucking into your feast, how about a DJ in the house? Conceptualised by acclaimed restaurateur Alan Yau, Madame Fan launches its inaugural Lunar New Year menus this year to celebrate the festive season with you. Designed by Chef Mike Tan, the LNY Set Lunch and Set Dinner menus will be available from 16 January to 19 February 2019. 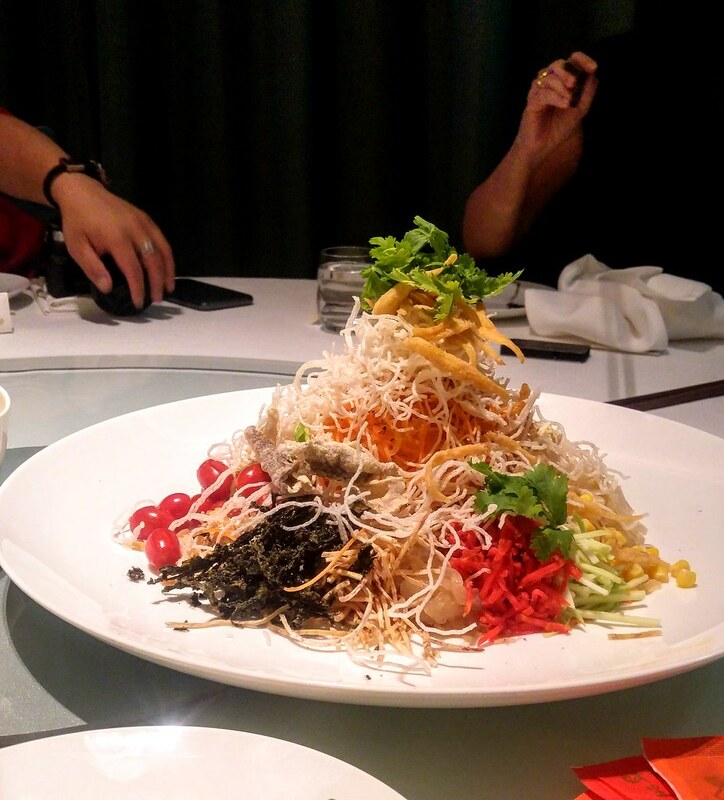 Starting off the meal was a healthier version of Prosperity Yu Sheng. By that I meant less of the sugary and vinegary condiments messing with the greens. 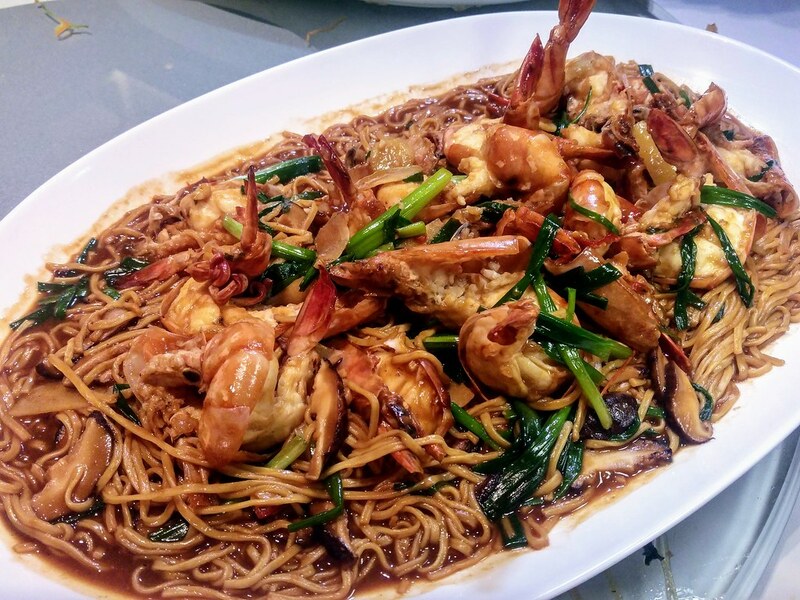 Chef Mike plays with the colors of different ingredients to attain that desired vibrancy, such as purple cabbage, tomatoes, mandarin orange, green mango, pomelo etc. A special yuzu sauce is concocted as well, which is a lot less sweet, and what I really like is that it doesn't stick and coat the crunchy greens like what a regular plum sauce will do. Other than golden pillows, we also had crispy silver fish and fried fish skin showering our Yu Sheng. It tasted really fresh on our palate, and the plate left our table well polished. The second course is really a dish that pampers your soul - Bird's nest, Crabmeat and Crab Roe with Supreme Stock. 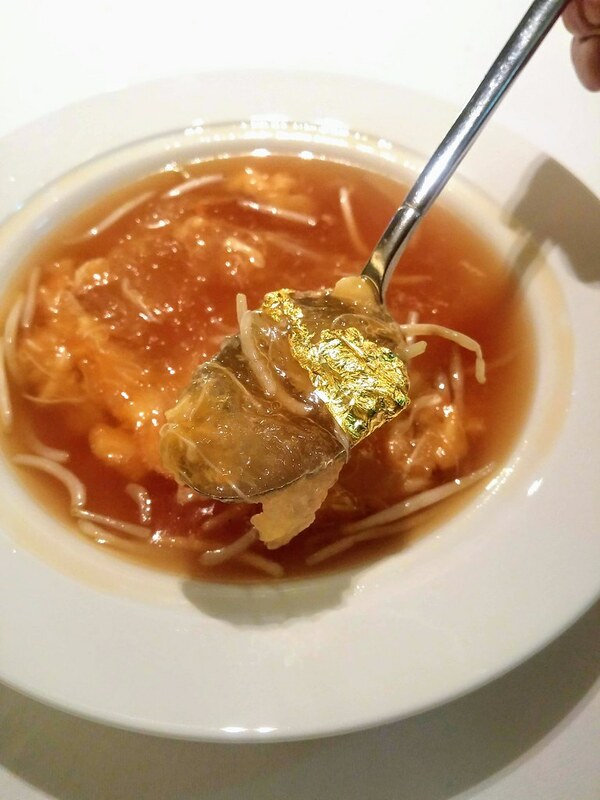 The Bird's nest is more for the texture and the nutrition if you believe in it, otherwise, it tastes similar to a shark fin soup. The beansprouts added to the crunch but some of mine were slightly raw. Next up was South Africa Abalone and Tofu with seasonal vegetables. 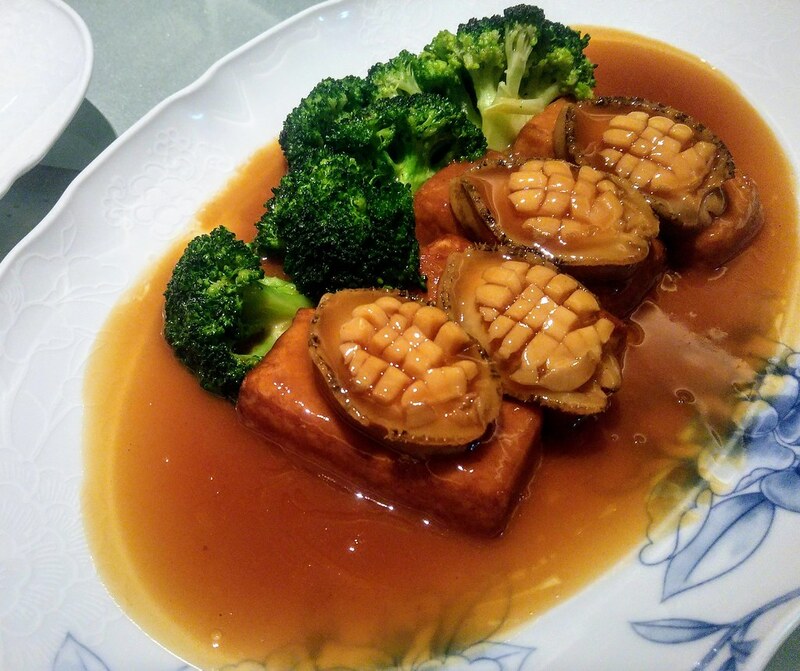 Nothing to fault about the abalone but the humble tofu managed to steal the limelight with its silky texture. 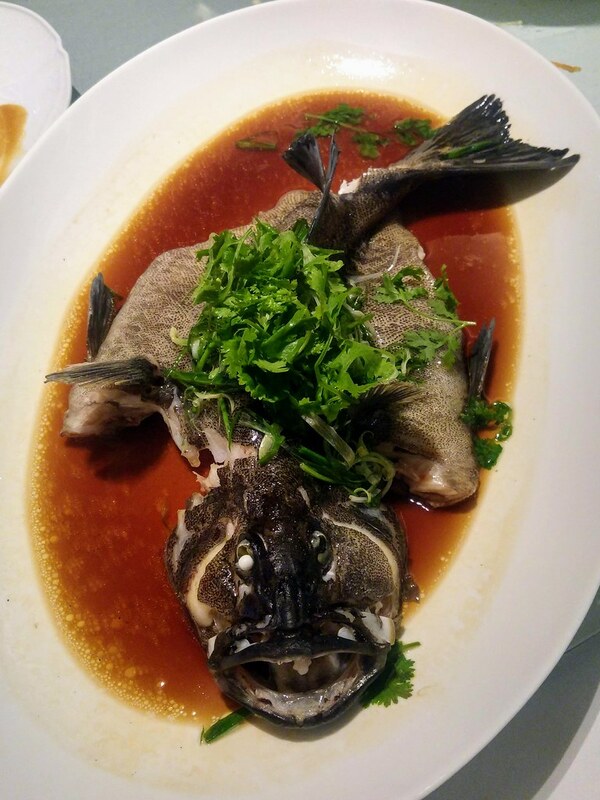 Presented in a traditional flavour is the Steamed Red Spot Garoupa with Hong Kong Pat Chun Premium Soy, ginger and spring onion. The meat was firm under the collagen-rich skin, and I bet many would eye for its head. 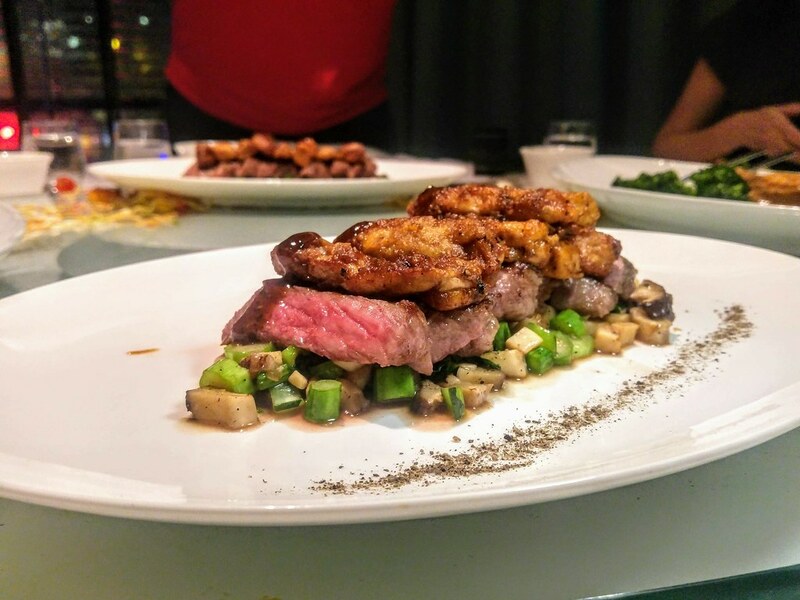 No Pen Cai but what's even better is this Charcoal Grilled Wagyu with Foie Gras. From Kagoshima, the meat was well flavoured with fats, and it was so tender that we needed no knife to portion it. I appreciate that the foie gras was sliced and seared well at all edges for that extra texture and flavour. Capping the feast was Braised King Prawn, Ginger and Spring Onion with Ee Fu Noodle. You may notice that the noodle is actually secondary. The prawn was fresh, evident from the ease of removing the meat from the shell. I would prefer the noodles to be drier though. But what makes this meal memorable is the dessert - Chocolate Cremeux with Mandarin Orange. 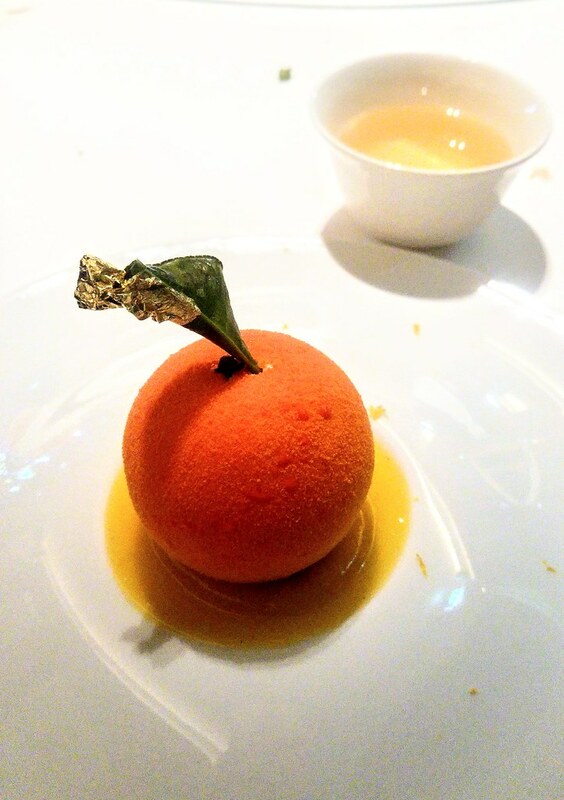 The 'orange' is made with white chocolate, cream and cheese, embedding a orange sorbet core. Knowing that it was a white chocolate dessert made me skeptical about it at first, as I am really concern about its sweetness, but it proves to be one of the finer artisan desserts I had. The white chocolate cream melted in my mouth effortlessly, leaving a hint of vanilla at times. The orange sorbet and the base syrup imparted most of the sweetness to the dessert, along with a tartness that brought the flavours to a balance. As I savoured deeper into the centre, my tastebuds were surprised by a sweet and airy almond souffle. It wasn't a dedicated dessert chef who crafted this by the way. Yes, we asked. Festive set lunch menus are priced from $78++ per person for a minimum of two persons. The Set Menu which I had is priced at $238 for parties of 4 and more.